Ever since Predator became a hit in 1987, it seemed logical that Fox’s two big science-fiction monster franchises would combine. 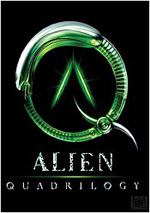 By that point, the Alien series was established as a success, and the two characters felt like a pretty natural match. I truly loved the Alien series and also enjoyed the two Predator flicks. As such, I really wanted to get something special from AvP and hoped that director Paul WS Anderson would capitalize on the subjects’ potential. A lot of fans frowned on his hiring, as his prior efforts didn’t inspire a lot of confidence. 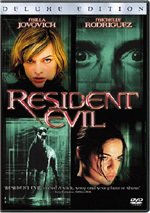 I can’t say I disagreed, but I thought Resident Evil was a decent action flick and crossed my fingers Anderson might be able to work wonders with this franchise. By the way, it’s not a mistake that I’ve referred almost exclusively to the Alien flicks as inspiration for AvP. The film feels much more like a part of that series and the predators almost come across as incidental. If you check out the DVD’s extras, we hear much of Anderson’s affection for the Alien movies and very little about Predator, so this slant toward the former should come as no surprise. Alien Vs. 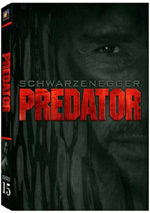 Predator appears in an aspect ratio of approximately 2.35:1 on this single-sided, double-layered DVD; the image has been enhanced for 16X9 televisions. The visuals usually seemed fine, but a few concerns knocked my grade down to “B”-territory. 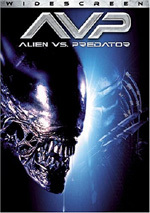 Though only a single-disc release, this DVD of Alien Vs. Predator comes with a mix of supplements. Of most significance are the two audio commentaries. The first one presents director Paul WS Anderson and actors Sanaa Lathan and Lance Henriksen, all of whom sit together for their running, screen-specific chat. As one might expect, they cover a pretty wide variety of subjects. We learn a little about the cast and how they got the roles, and we also get notes connected to the story and influences from the prior flicks. The discussion includes information about locations and sets as well as the film’s visual design, character development, and general shooting anecdotes. For the second commentary, we hear from visual effects supervisor John Bruno and creature effects designers/Creators Alec Gillis and Tom Woodruff Jr.. All three chat together in this running, screen-specific track. As one might expect, effects elements dominate this discussion. We learn about the practical and computer elements as well as the flick’s overall look. At times, the commentary gets a little dry, and a few dead spots occasionally occur. In general, though, the guys keep the tone nicely light and jocular, and they help make this a reasonably informative and likable piece. We can watch either the theatrical rendition of AvP or an extended version. Don’t expect much material, as the longer cut only runs an additional 89 seconds. The added material comes from a prologue set in 1904. It’s not a great scene, but it allows some parts of the movie to make more sense. Next we get a collection of three Deleted Scenes. Taken together, they run two minutes, 17 seconds. The sequences include “The Other Mexico”, “Connors’ Death”, and “Predator Humor”. The last one’s mildly interesting, but otherwise there’s not much worth watching here. In addition, we find a Making-Of featurette. It runs 23 minutes and 13 seconds as it presents the usual mix of movie clips, shots from the set, and interviews. We hear from Anderson, Woodruff, Henriksen, Lathan, Bruno, Dark Horse Comics’ Mike Richardson, producer John Davis, production designer Richard Bridgland, snow effects Lucien Stephenson, and actor Raoul Bova. They go over the origins of the comics and their path to the screen, various story concepts, sets and the film’s visual look, creature design, casting, and visual effects. Since this program comes with the title “AvP Promo”, I worried it’d offer nothing more than advertising and fluff. I was wrong, as it actually gets into quite a lot of meaty subjects. Very little promotion occurs, and it keeps movie clips to a minimum as well. Instead, it focuses on the relevant elements connected to the film’s creation. It moves briskly and covers the subjects in a tight and informative manner. The parts about the cast slightly degenerate into basic story reiteration, but otherwise we get a lot of good detail here. A stillframe collection of Dark Horse Comic Covers pops up next. It includes shots of 34 covers along with some information about the various issues. It’s a nice little compilation. An unrelated ad appears via a Superbowl XXXIX Spot. There’s also a promo for the TV series American Dad. Inside Look offers a trailer for Mr. and Mrs. Smith. Also, we get a look at Elektra with remarks from actor Jennifer Garner. Folks with DVD-ROM drives will get a few additional components. That department presents a complete version of the first Aliens Vs. Predator comic. It’s definitely a fun read, and we also learn a little about the creation of the comics. We also get a “sneak peek” at the next AvP graphic novel and links to the Dark Horse and AvP websites. Fans waited many years for Alien Vs. Predator. Fans got a major disappointment from this unfocused and bland flick. It occasionally mustered some good action but usually kept things dull and without much excitement. The DVD presents fairly good picture with excellent audio and a reasonably interesting set of extras. Fans of either the Alien or Predator franchises probably will want to give this movie a look, but don’t expect it to live up to any of its predecessors.